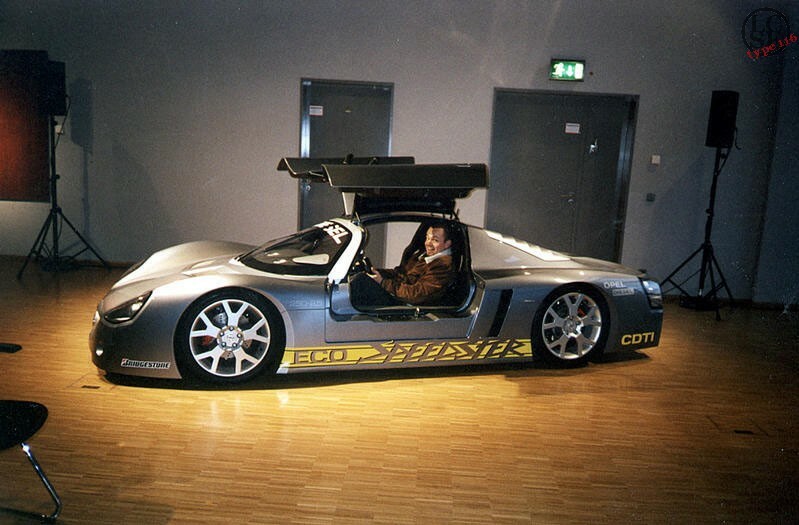 The aerodynamically optimized and lightweight Eco-Speedster, with its swooping, long-tail bodywork, demonstrates impressively the performance potential of the future 1.3-liter ECOTEC CDTI engine. 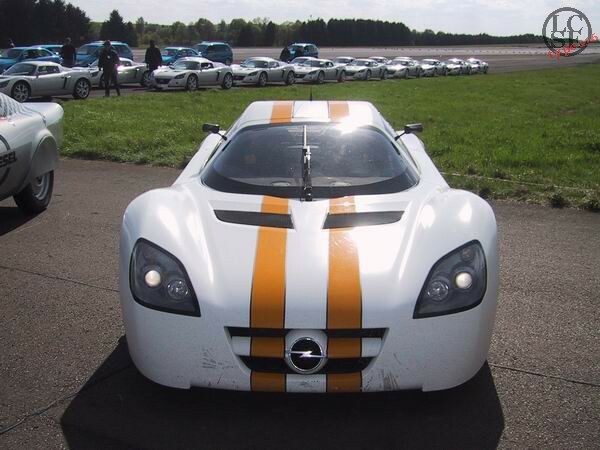 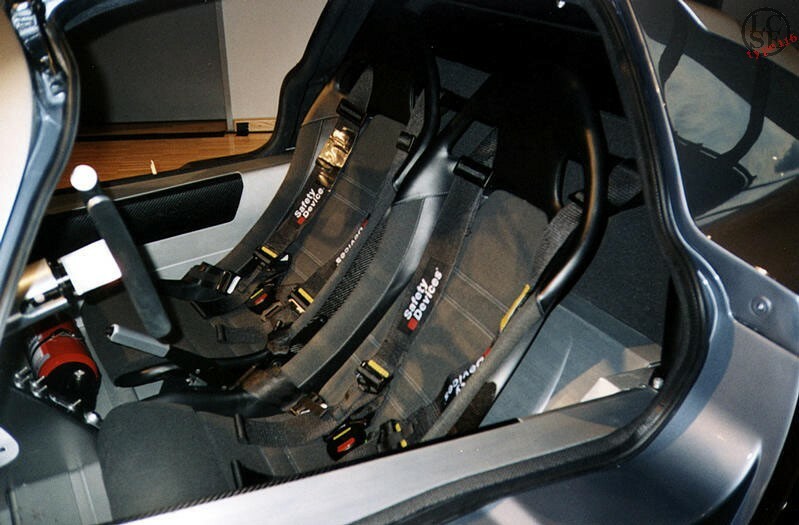 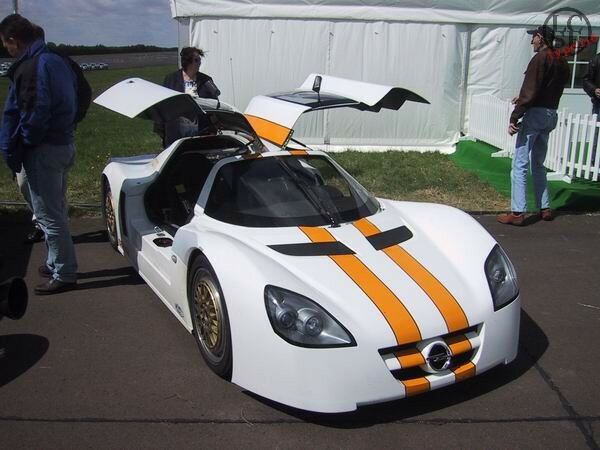 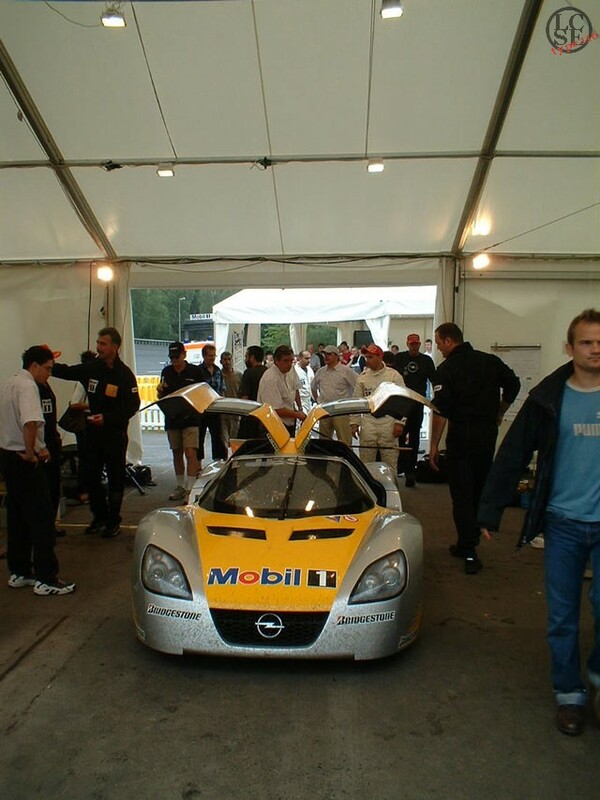 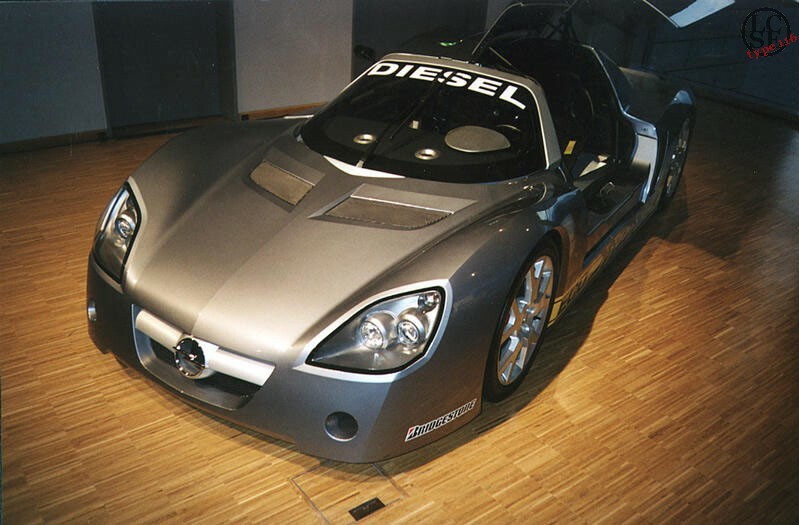 During initial testing the 112 hp concept car reached a maximum speed of more than 250 km/h, while fuel consumption in the MVEG cycle was a miserly 2.5 liters per 100 km. 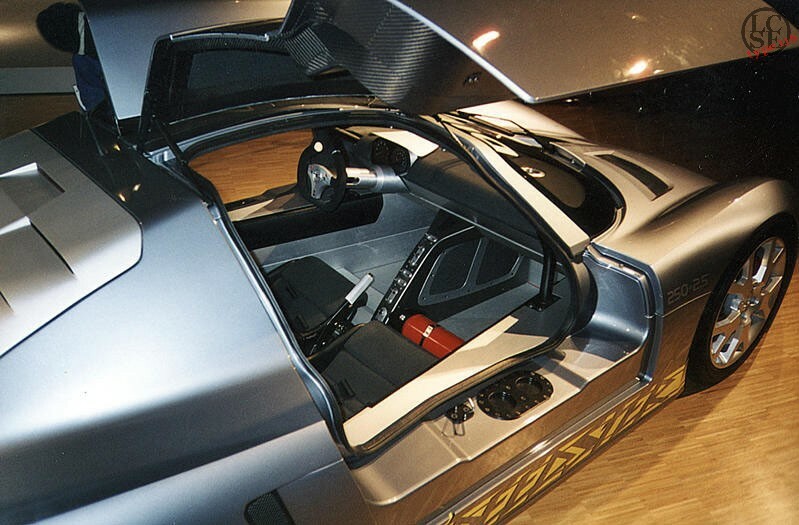 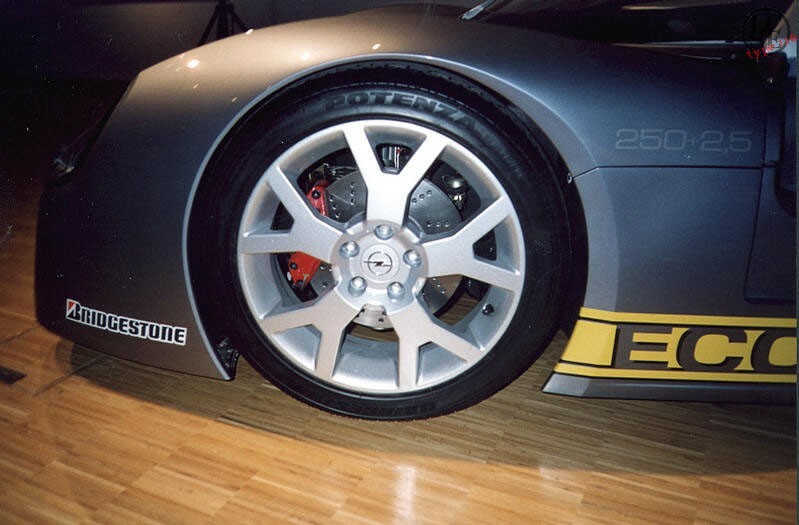 The prototype is based on the mid-engined Speedster roadster, but features new, carbon fiber bodywork with much improved aerodynamics. 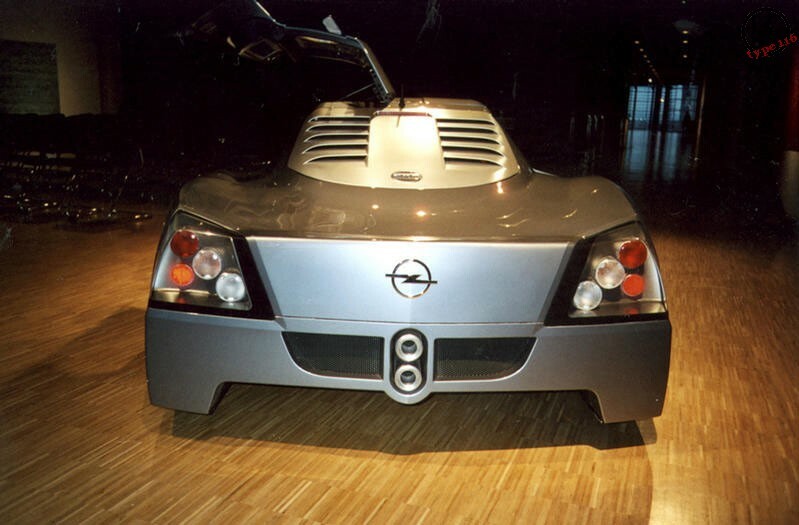 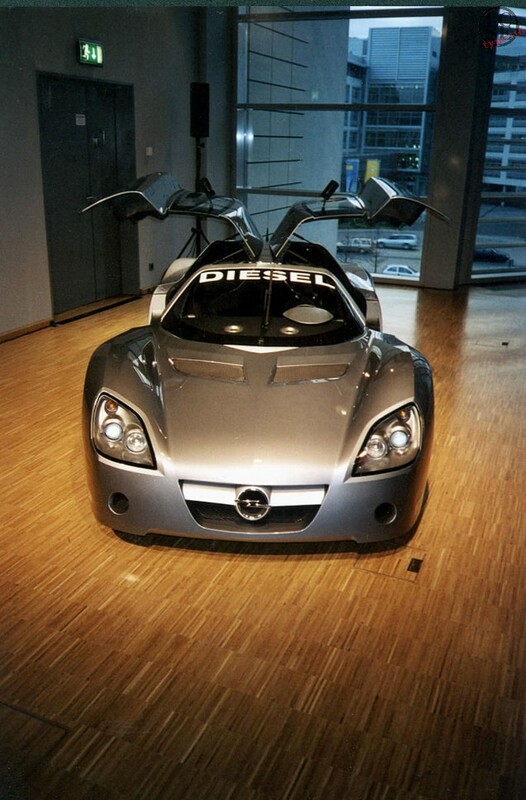 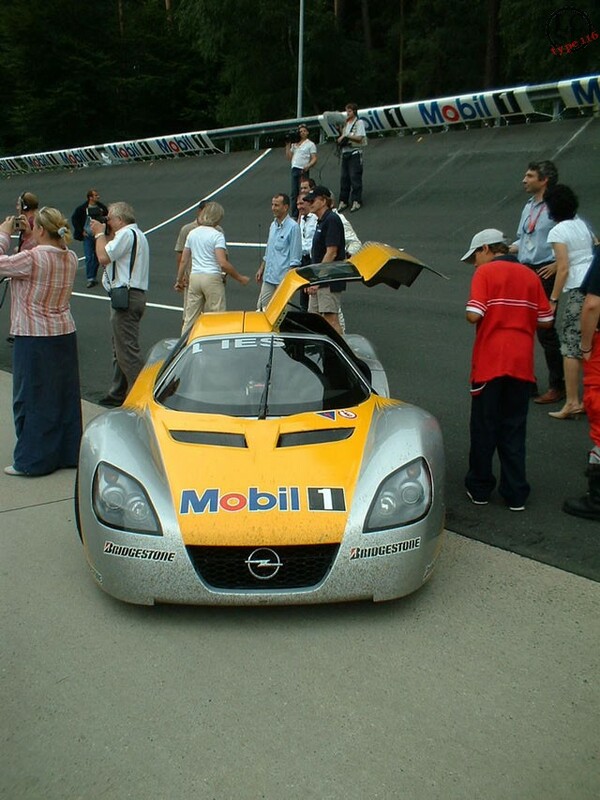 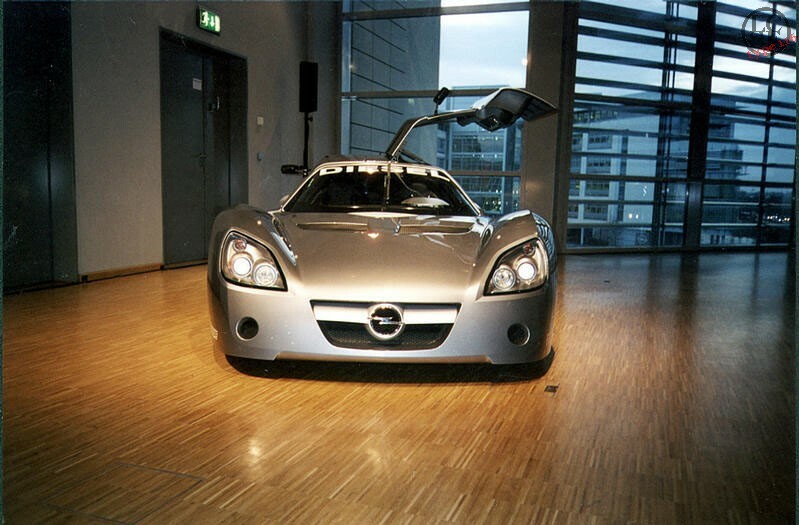 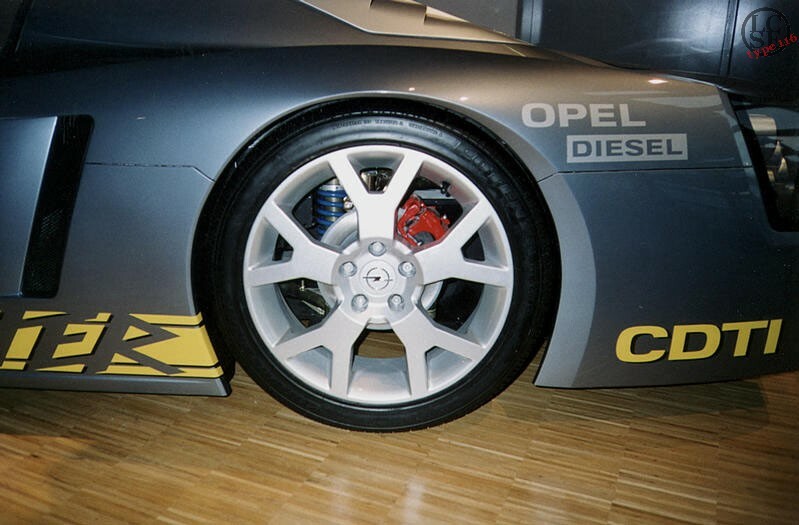 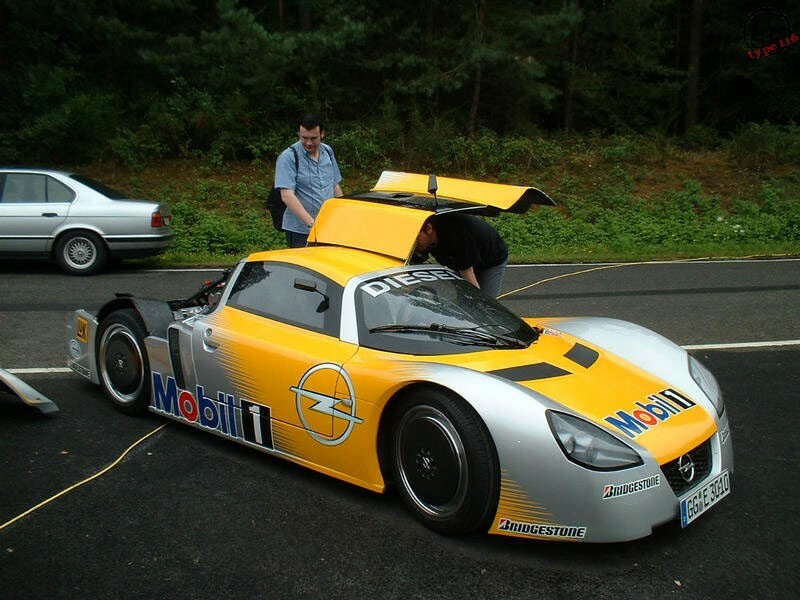 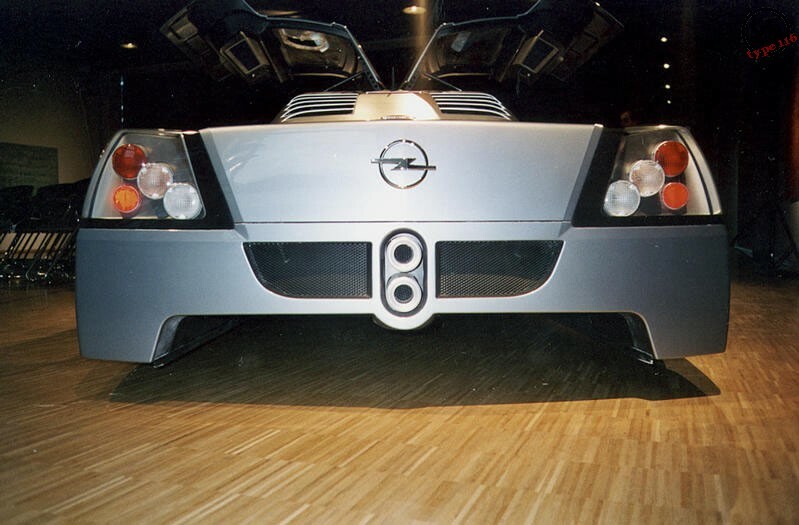 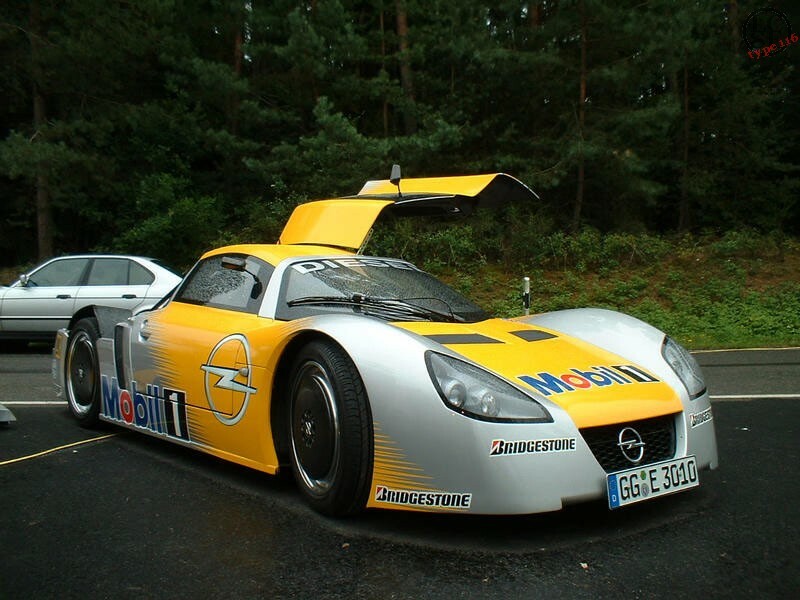 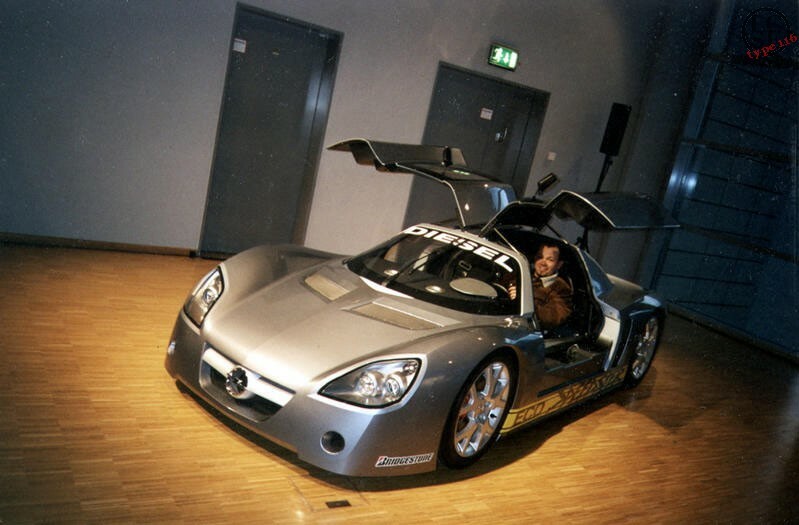 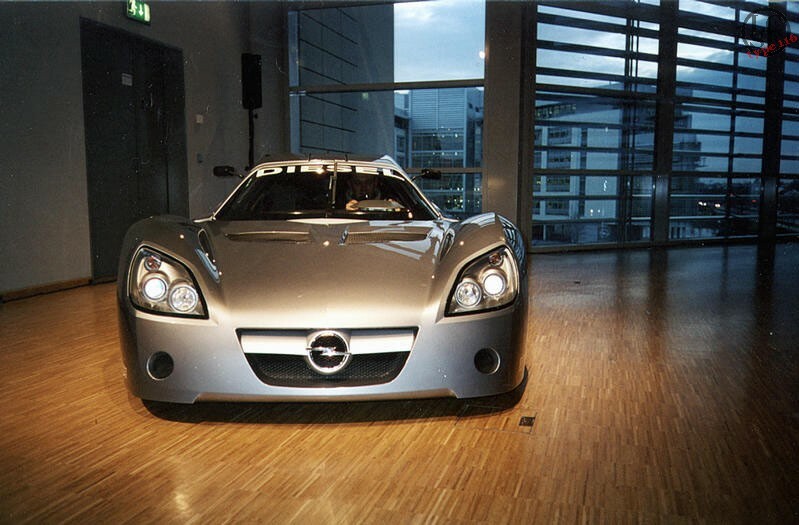 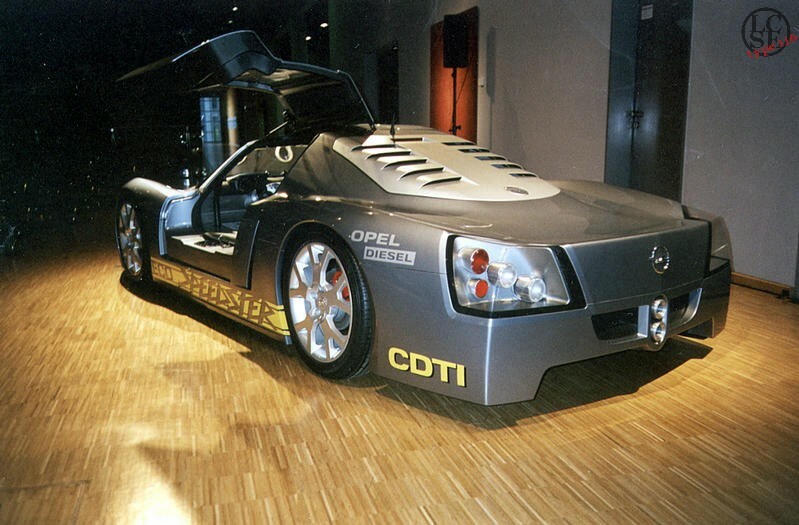 With significantly reduced drag (Cd = 0.20) and even lower weight (around 660 kg), the Eco-Speedster takes up where famous Opel GT prototype with a 95 hp, 2.1-liter turbo-diesel power unit left off 30 years ago.